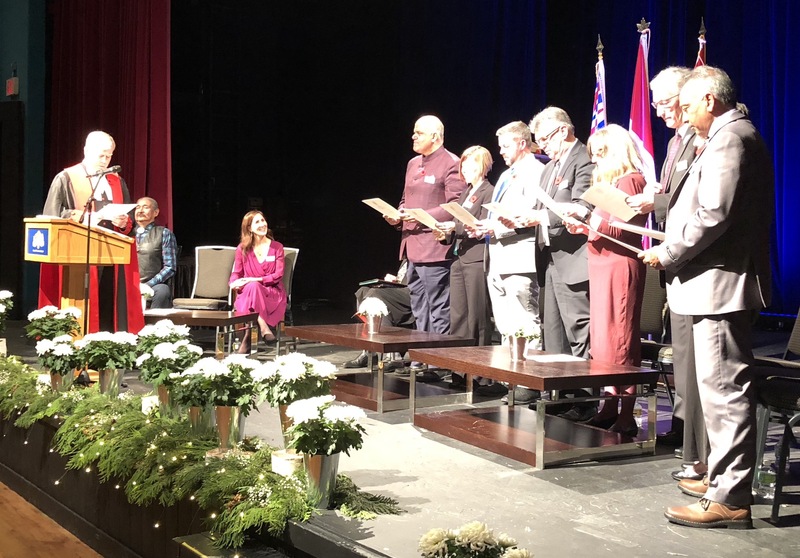 THE INAUGURAL MEETINGS of Kamloops City council and the Kamloops-Thompson School Board were held last night, with the Thompson-Nicola Regional District board set for its own inaugural on Thursday. So now might be a good time to review the issue of term limits. I’ve never been a term-limits booster, being of the view that it should be up to the electorate to decide how long it wants to keep electing people. But things change, and there are some compelling reasons why term limits in civic politics would be worthwhile. First, let’s consider the four-year term. Not everyone — including some politicians — is a fan of the four-year term that came into effect with the election of 2014. Before that, terms in office were for three years, and, before that, they were two years. Back when we elected people for two years, and even for three years, it wasn’t a big deal if a councillor or board member turned out to be a dud. We could quickly send them packing. The ones who did the job well would get our seal of approval at regular intervals, and overly long political careers were rare. Regular turnover is a good thing. With four-year terms and no term limits, talented newcomers have a tough time squeezing their way in among all the incumbents. Term limits would increase opportunities to inject new blood and new ideas into civic politics. Supposing the length of time in office was limited to three consecutive terms for any single civic position, as has been proposed for MLAs. Twelve years is a good long time for anyone to serve in a local government position, and it would force experienced warhorses to step aside and give somebody else a chance. If the next Kamloops civic election was held under the three-term rule, it would guarantee at least one more seat would be opened up. Not a big change but over time it would create a stable churn that would serve to encourage more participation.